Rockabilly decor made easy. Find more rockabilly decor and style ideas at our Polyvore Account. 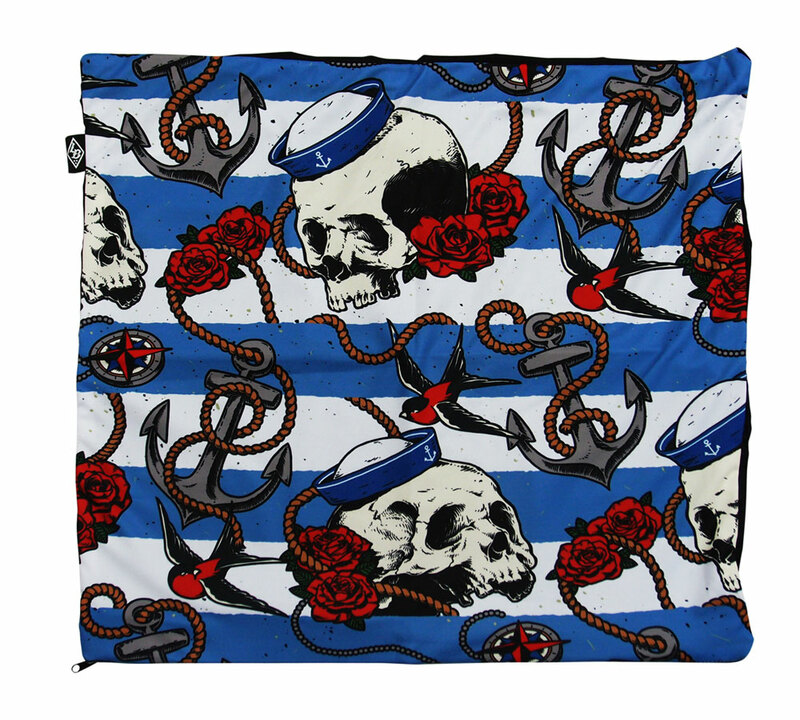 Want to decorate rockabilly? We’re looking at rockabilly decor vintage decorating ideas that are budget friendly, and totally stylish! All rockabilly fans know that the love you feel for that era extends way beyond just the rockabilly clothes. That’s right, if you love it that means you love the music, the rockabilly decor, the ambiance, the clothes, the hair, makeup, style… and the furniture! You should never keep your love for rockabilly hidden away, so why not show it off by decorating your house with fabulous 1950’s finds? We’re looking at 5 ways you can transform your living room into a rockabilly paradise. 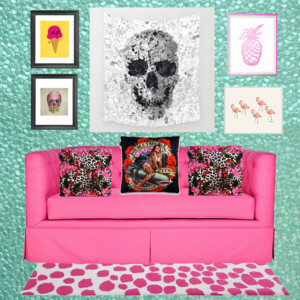 If you look at our sample Polyvore home decor image, our rockabilly dream room was not afraid of using colors or patterns. Just because you may be using 1950’s inspired pieces with your rockabilly decor doesn’t mean your house has to be decorating with neutral, boring colors. Instead, choose classic rockabilly colors such as reds, blacks, hot pinks, and any pattern that screams vintage vixen fun: cherries, skulls and crossbones, polka dots, vintage floral patterns, and leopard print. While a true 1950’s lover would go ahead and choose linoleum flooring, but the truth is that’d be the ugliest option possible. So instead, choose fun, patterned area rugs that show off color and texture. This will make your rockabilly decor pop, add interest, and draw the eye. Make rockabilly decor a staple in your home with these easy rockabilly pillow covers. Rockabilly styling is about more than just decor. Take for example: your couch. Your couch is your main focus of your living room, so make sure you pick a great piece. Choose new couches that offers vintage appeal. Choose couches with stand-alone legs and well-shaped, high-back couches. Not only will this serve as an awesome piece of rockabilly decor, it can also give a great Gothic vibe to any living room. Want to make your living room your own personal rockabilly art gallery? Pull off a rockabilly gallery wall by printing off some of your favorite rockabilly and pinup photos. Choose classic pinup girl prints, and fun skull and crossbones patterns, and great shots of vintage cars and you’ll be all set. Stick them each in their own unique, antique frame and arrange them around the room to create an amazing gallery wall. Decor is probably the most fun part of decorating. The decor you use around your living room is what will pull the entire look together and have your friends begging: “WHERE did you get that? !” Rockabilly decor can easily be pulled off just by throwing a couple items around the room. Don’t be afraid to mix 1950’s vintage, classic Gothic, and fun rockabilly styles together to create an amazing look. Check out our rockabilly pillow covers for even more decorating inspiration!